Richard Gere says the movie that made him a household name isn’t even worth remembering. Read on to find out how he slammed Pretty Woman and some of his famous exes. Pretty Woman is one of the most beloved movies of the ’90s — but star Richard Gere called it utterly forgettable. In a brash new interview with Australian Woman’s Day, Gere ranted about his “silly” movie past — and some misguided relationship choices. Gere also said he hates how Pretty Woman glamorized greedy bankers. Next on the actor’s hit list? His string of beautiful, famous partners, including Kim Basinger, Uma Thurman, Priscilla Presley and even former wife Cindy Crawford — without naming them, of course. 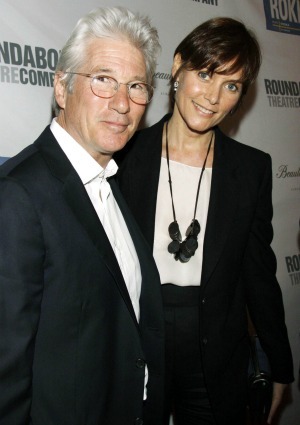 “In the 1980s, relationships were all about status,” Gere said. Maybe Julia Roberts will forgive him. Someday.